Cashflow after the festive season can be a killer. 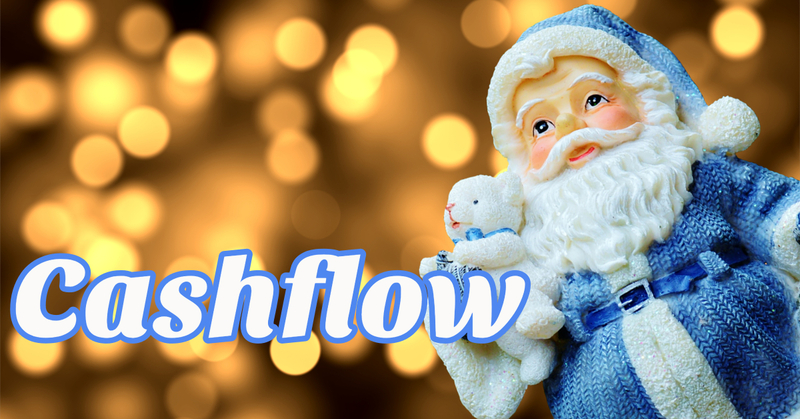 Regardless of your business having a pre-Christmas sales bonanza – cashflow is a major difficulty at a time when everyone else is enjoying a wonderful time of the year. Usually, as consumers get into the festive spending spirit, it’s a profitable time for retail businesses. Some retailers make more sales in November and December than in the previous eight months combined. However, when it comes to wholesale and business-to-business industries, the Christmas cashflow crunch is cruel. Many businesses simply shut down because customers are not interested in transacting during this period. Christine D’Mello writes in the Sydney Morning Herald about small business operators sharing their experiences and tips. Read Christine’s full article. Leigh Dunsford, co-founder of Waddle has put together these 5 tips that could help your business survive the festive season. Offer early-payment discounts to customers who have invoices outstanding, incentivising them to pay you early. Do a cash-flow forecast: look back at last year, know your costs up until February/March. Proactively ask for extended supplier terms to see you through to the end of February. Put larger bills on payment plans to prevent large cash chunks going out. Put in place a back-up plan line of credit to draw funds from receivables if needed. Christmas can prove to be a cashflow blackout period as invoice payments are delayed by staffing absences in businesses across most industries. From late November things start to slow down. This is why sales events such as Black Friday and Cyber Monday are so heavily promoted. A great trading period leading up to Christmas, and a healthy stack of money owed to you, you likely won’t see this money until closer to February next year. Read Christine’s full article on the SMH website.